Performance Specifications address the operational requirements of an installation. The focus is on the project outcome, indicating how the final project must be able to function. 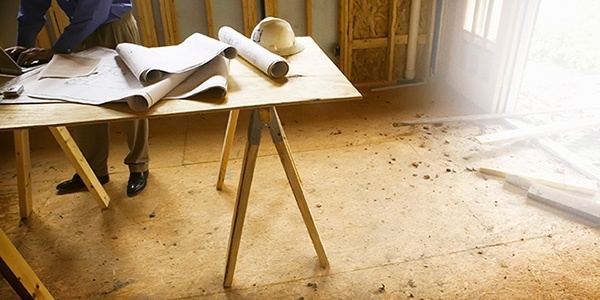 Here, architects provide direction to the general contractor about what is needed and the general contractor must determine the best path to achieve the desired outcome. While this approach gives the general contractor flexibility in his construction approach, it limits how much authority an architect maintains once construction is underway. Prescriptive specs put a greater burden on the architect (as opposed to the general contractor) to ensure proper installation. Proprietary Specifications demand that only one specific product be used for a given installation. It is commonly utilized if the portion of a project requires a certain performance that only one product can achieve. This could ultimately drive up project costs. Along with these three types of construction specifications, specs can also be classified as “open” or “closed,” a division often determined by the project’s stage in design development. An open specification is when an architect does not name a specific supplier or product and allows for substitutions to be made by the contractor. It does not limit competition, but rather is dictated by a set of standards that more than one manufacturer can meet, allowing for many alternatives to be submitted for approval. Performance specifications are often considered to be open. A closed specification lists specific products, systems and manufacturers, with no alternatives or mechanisms to apply a substitution. Closed specifications are most often seen when matching a specification to an existing building, or when an exact duplication is important. By default, closed specifications are proprietary. However, they can be made “open” by not referring to a singular brand or providing requirements applicable only to a specific product. This is commonly done by adding “or equal” after the listed brand. It is critical for building/design product manufacturers to understand the various classifications and types of specification in construction, as well as in which spec scenarios their products will most frequently be considered.